How Much Toothpaste Should You Be Using? 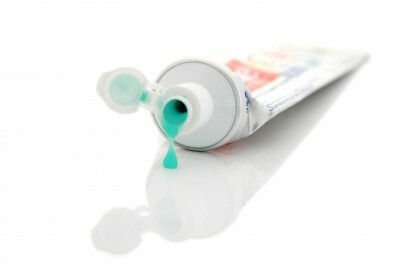 As little as we think about it, toothpaste is an essential item that we use every day. Everyone knows that they are supposed to brush their teeth at least twice a day, and it’s surprisingly very common to run out of toothpaste more quickly than it seems they should. A good question is “How much toothpaste should I be using?” The amount is simple for adults, but how much toothpaste should parents be using to clean their young children’s teeth? Most adults tend to think that it is necessary to cover the entire brushing surface of a toothbrush because of the way toothpaste is advertised on television. Liberal use of toothpaste is far too much; it is only necessary for adults to use an estimated pea sized dab of toothpaste to properly clean their teeth. The amount of toothpaste you use for your children varies by age. You should use no more than a thin streak of toothpaste to brush an infants teeth. Use half of the amount that is recommended for adults to brush your children’s teeth who are older than 5 years. By following these guidelines, you won’t have to buy toothpaste as often as you have in the past. You will also avoid damaging your and your child’s teeth with excessive fluoridation which is common among those who use more toothpaste than needed.